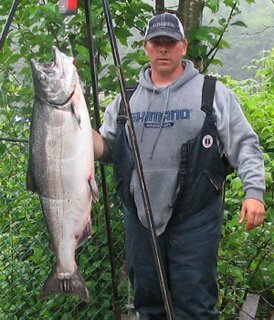 Mike Johns from Heavy Hauler sent in a brief report: "Salmon has been a bit slower, but the good news is that there is finally some bigger fish showing. 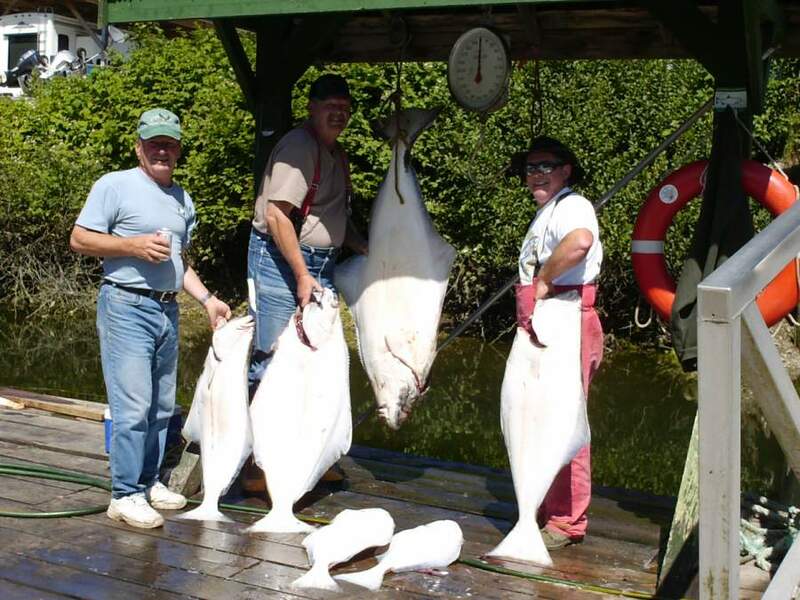 The halibut fishing has been awesome with the size out at the banks starting to get bigger"
Reports from Port Renfrew Marina are that weekend fishing was super. Over twenty salmon above 30 pounds were caught over the weekend, including three in the 40s. One report said there was a non-stop bite at Logan Creek from noon to 2 pm. Desi Hatcher won the Davey Derby, with the largest spring salmon at 41.7 pounds and largest halibut at 70 lbs. 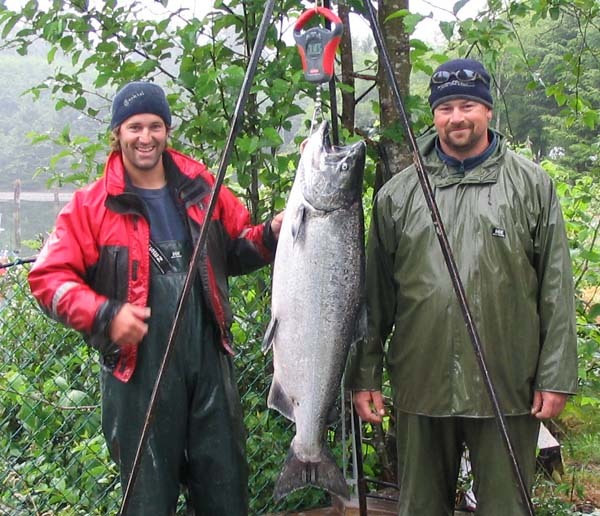 A 47 pound salmon was caught later in the afternoon, but too late to weigh in. Visit the Marina's website in the next few days for an updated report with pictures. Sockeye fishing is open in Port Renfrew waters, max 4 per license per day. Chinook fishing is closed inside the Harbour, although East Point remains open: "Effective 00:01 hrs July 15 to 23:59 hrs October 25 in of Subareas 20-1 and 20-2 inside or northerly of a line from Owen Point to the Port San Juan Light and Whistle Buoy then to Woods Nose, you may NOT RETAIN chinook." Looks like the big ones have arrived, time to get to Port Renfrew for prime Vancouver Island fishing! 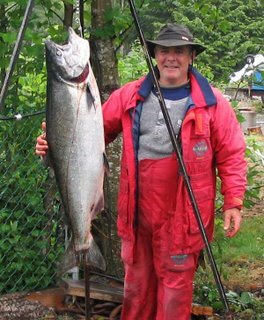 "GREAT fishing to report, Port Renfrew right now is offering up the best fishing on Southern Vancouver Island...or maybe anywhere for that matter. Salmon fishing has been excellent -- the early morning bite at East Point has brought many Spring salmon aboard. Halibut have been plentiful out at Swiftsure Bank, with limits of smaller chicken-size halibut quickly caught." 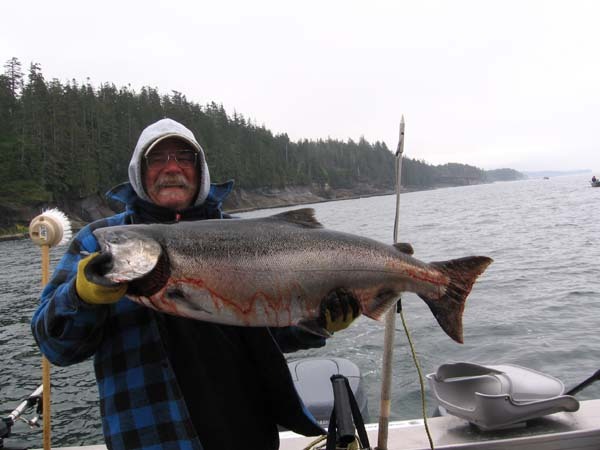 If your immediate fishing plans don't include Port Renfrew, time to change them and get out there! 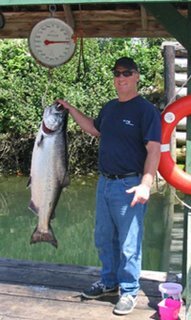 Port Renfrew Marina reports that the spring salmon fishing around Port Renfrew has really improved in the last week, with limits and more. 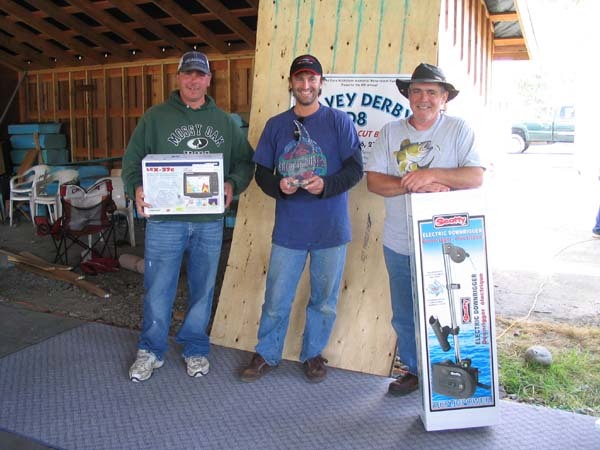 They report Gary Schmit as the first fisherman of the year to bring a 40 pounder into the Marina. Way to go! He caught it at Camper Creek using anchovy. 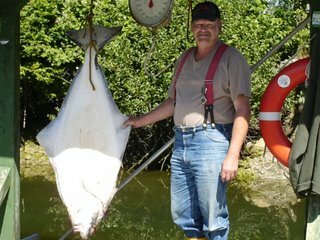 Kelly from Last Chance Fishing provides the following report: "Fishing this weekend was great, limits on chicken halibut at Swiftsure Bank. The coastline from Owen to Logan creek, among other areas, was producing some great springs, with a 40 being weighed in Sunday night. Great fishing for all, as well as great crabbing." Mike from Heavy Hauler adds: "East point has been hot for springs. Halibut has been good offshore but you have to go to the far end to get 'em. I haven`t bothered to, still throwing the pick, landed 6 yesterday 92,55,40,35,30 and 25, and not another boat in sight". That's Big John Holman with the big fish, along with Ken Gillard and Joe Serpa, all from Vancouver Island. It sounds like Vancouver Island fishing at its finest, so make your way to Port Renfrew for your own fishing adventure. 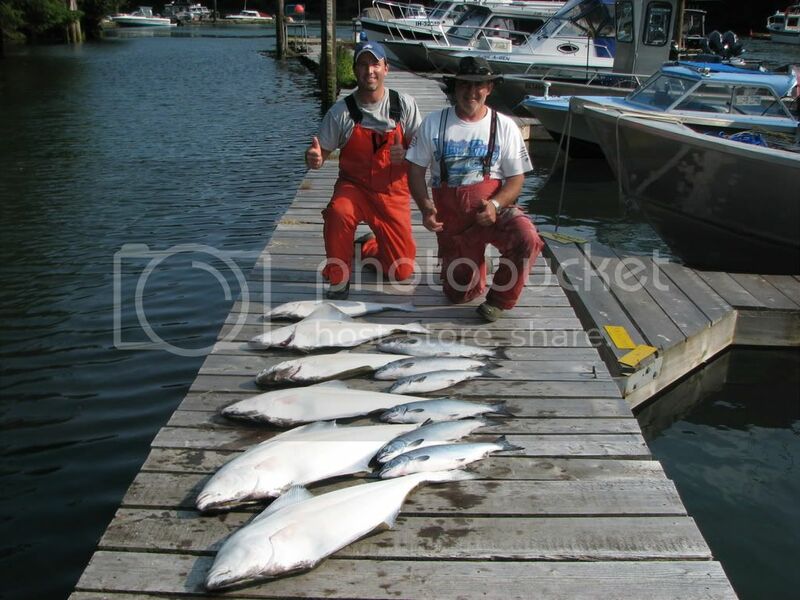 Fishing in Port Renfrew has definitely turned the corner into summer. Reports from Swiftsure Bank are that it is back in form, delivering the exceptional quality Vancouver Island fishing it is renowned for. 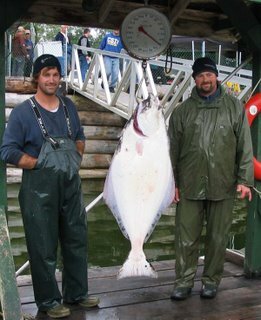 Kelly from Last Chance Fishing Adventures reports: "There are more halibut then you can shake a stick at on Swiftsure, my crews tubbed out both Friday/ Saturday. Standard issue 20lb, the guys anchoring up inshore got a little bit bigger. If you don't get one in the first 5 minutes, MOVE. There are also some springs around the bank too, I hit some on the south side, the guys on the north side did well too." Spring salmon 20-30 pounds plus are regularly being caught shallow off Culite, Logan, and Camper Creeks, although not yet hot and heavy.....it is definitely picking up though. Mike Johns from Heavy Hauler reports: "Coho have started to show up and the spring fishing is picking up." 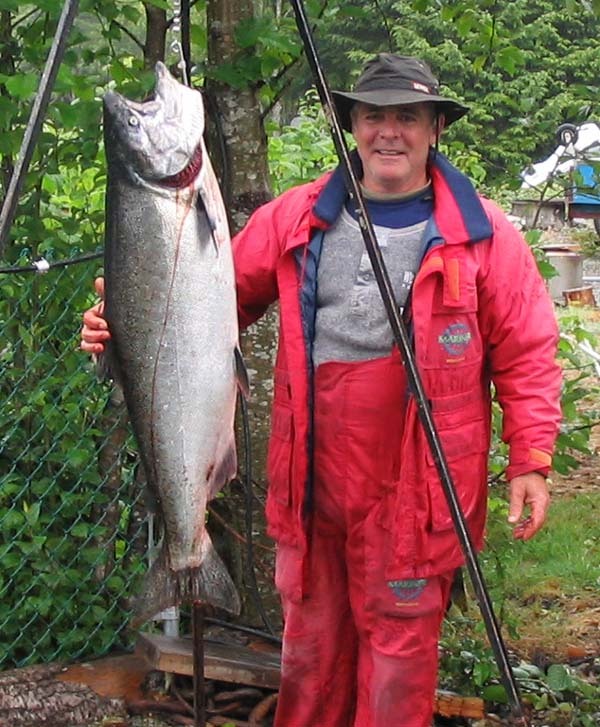 He sent in this photo of Gary catching a 33lb Tyee on his 50th birthday. How about that for a birthday present! Weather is variable as always, but there's been some HOT and calm beauty days of late. With that and great fishing, what more can you ask for? Get up to Port Renfrew and get in on the fun!